Men's New Balance Running Shoes Just $28.04! Down From $68 - PLUS FREE Shipping! 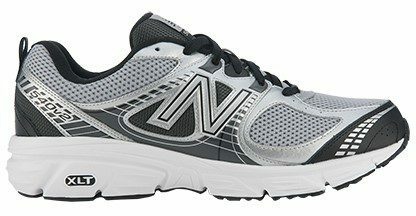 You are here: Home / Great Deals / Men’s New Balance Running Shoes Just $28.04! Down From $68 – PLUS FREE Shipping! Men’s New Balance Running Shoes Just $28.04! Down From $68 – PLUS FREE Shipping! You can get these New Balance Men’s Running Shoes for just $28.04! Down From $67.95! Joe’s New Balance Outlet is having a 15% off sale PLUS FREE shipping! Setting fitness goals is great, but exceeding them is even better! In the 540, your feet will be comfortable and well-supported as you run. Featuring reflective details, breathable mesh and dependable shock absorption, this running shoe is perfect for the occasional runner looking to improve their frequency, time, or distance run. Sale is valid through Nov. 29, 2015 11:59 PM ET. Offer not valid on previous purchases and cannot be combined with promo codes or other offers. Offer does not apply to phone orders. Free Shipping applies to Standard Shipping (UPS SurePost) to the Contiguous United States. Free Shipping applies to USPS Priority Mail to AK, HI, P.O. Boxes, U.S. Postal Territories, and APO/FPO addresses.